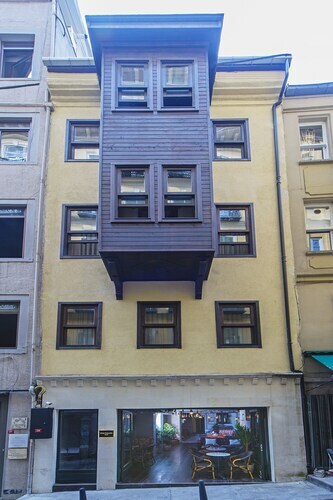 Located in Istanbul City Center, this inn is within a 15-minute walk of French Street and Galata Tower. Taksim Square and Pera Museum are also within 1 mile (2 km). Tophane Station is only a 3-minute walk and Karakoy Station is 9 minutes. Nestled on the beach, this Silivri inn is 7.3 mi (11.8 km) from Kumburgaz Lunapark and 9.8 mi (15.8 km) from Guzelce Marina. Buyukcekmece Beach and Aqua Marine are also within 16 miles (25 km). 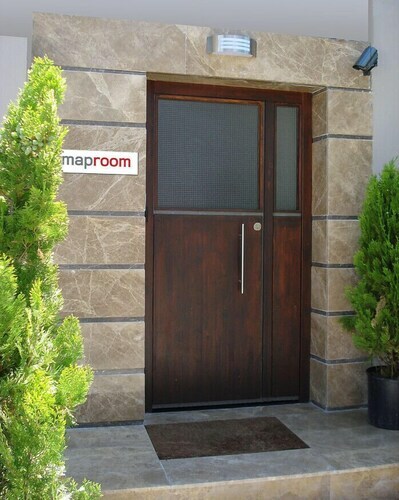 Situated in Sile, this inn is within a 10-minute walk of Agva Beach and Aglayan Kayalar Park. Agva Yeni Mosque and Kilimli Koyu are also within 3 miles (5 km). If you've scanned through all the big-name hotels and resorts and can't find anything that'll suit your budget, Istanbul Inns could be just what you're after. Run for real travellers, this age-old style of lodging is sure to keep costs to a minimum. Granted, it's not going to be as shoestring as a campground, but with the added draws of hearty food and regional beers on tap, the chance to sleep in individually designed suites or to chat to locals over a local ale, it's clear that there's loads of extras packed into the price. It shouldn't be hard to find inns for holiday breaks in Istanbul that burst with character. That's precisely what this sort of stay is all about – something different, something really memorable. It could be that there's a lively pub joined to the rooms. It could be that there's a leafy garden out front. It could be that there's a kitchen that sizzles with the scents of local produce and regional cooking. Whatever it is that sets them apart, you're bound to find something special in Istanbul Inns. Food is actually one of the main features of an inn. It's what makes it different to a B&B or classic hotel. Originally conceived of as pitstops for travellers on long-distance trading routes, these establishments almost always have an on-site kitchen and bar. That's great news if you were hoping to sample bona fide Istanbul cuisine, or if you're looking for a stay somewhere a little more off the beaten path, far away from all the main restaurants and bistros. Because they've traditionally been out-of-town lodgings, historically fringing main roadways leading in and out of destinations, don't be surprised if you find many Istanbul Inns nestled in the countryside. To go with the location, a large proportion of these sorts of accommodations are pet-friendly, sat close to popular nature parks and near the start of major hiking trails. There's plenty of scope to feel surrounded by nature, away from the hustle and bustle of the busier parts of town. Whether you're after a stay that's sat smack bang in the heart of the action or somewhere quiet and secluded closer to nature, ebookers has such a wide range of inns on the menu that you're bound to find something to suit. We've made it super-easy to find the inn that's perfect for you, offering a map that lets you zoom in and out to discover the top-rated establishments right across any destination. Just enter your particular dates of travel and trust ebookers to list all the best Istanbul Inns on the line-up. So you've settled on Istanbul for that next holiday? Great choice. If you haven't yet considered Inns as a possible place to stay, then it might be worth seeking out the wealth of such accommodations that's on offer from ebookers. They are primed for family visitors and travellers on a budget. And they come with a whole host of extras that aim to make the next trip one to remember. 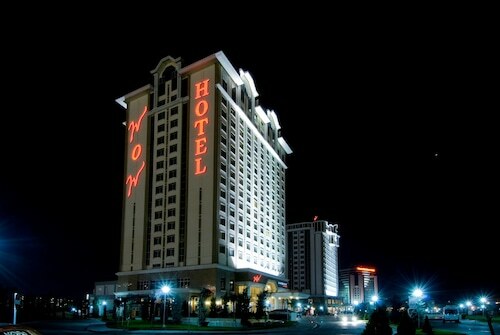 Price wise, you're likely to find that Istanbul Inns come in at much less than the cost of large-scale resort hotels. The reason? 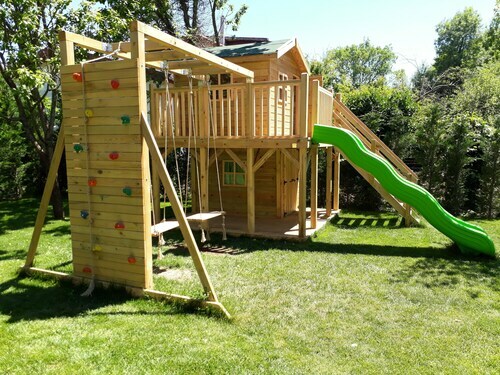 They often occupy more out-of-town locations and tout simpler accommodation types – think cottages with bunk beds, compact lounges, and the occasional self-catering kitchen. And talking of self-catering kitchens, that's another sure way to knock off even more pounds from the cost of your trip. You'll be able to rustle up your own meals and serve the whole crew without paying a single restaurant bill. Istanbul Inns really are tailor-made for family travellers. With their low-key cabin beds and static caravan rentals, there's loads of flexibility in the sort of stay you have. But that's not what really makes them stand out from the crowd. That honour goes to the host of extras that's usually part and parcel to a trip to a caravan park. Don't be surprised if you find options with playgrounds and ping pong tables, not to mention charmingly retro gaming arcades. 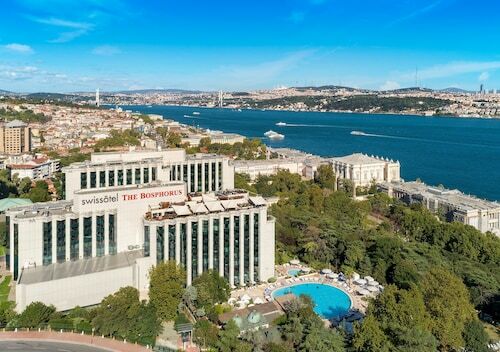 And don't be surprised if you come across Istanbul Inns with on-site pools for cooling off in the summer heat or little cafes where you can sit and sip a Spritz while the little ones cycle back and forth. As mentioned above, one of the main ways that Istanbul Inns manage to keep prices low is by occupying more off-the-beaten-path pockets of the destination. That might mean you'll have to sacrifice waking up in the shadow of big-name attractions, but there are bonuses, too – bonuses that can be grouped under the name of the ""great outdoors"". In fact, one of the big reasons to come to a Inns, in this destination or anywhere else for that matter, is seizing the chance to escape the hustle of city life and experience a wilder side of the region. So bring those walking boots and get ready to burn off the breakfast calories by getting out there to explore the landscape and see it all in a new light. The result is that you can look forward to enjoying a totally different setting than you might be used to on holiday, somewhere less-trodden, away from the sightseeing circuit, and immersed in nature. We've made it really easy to home in on the Istanbul holiday park that's perfect for you. Just enter the dates you're planning on travelling into the search boxes on ebookers and we'll list all the top-rated options in the category. You can also make use of our handy travel map, which lets you zoom in and out to see where Inns are hiding nearby.